This article examines the role of the Public Works Department in the development and administration of waterworks in Kuala Lumpur between 1900 and 1941. It examines the early development of waterworks in Kuala Lumpur under British colonial rule and waterworks enactment that shaped the administration of water supply in the town. This research draws mainly from British colonial records and considers the major role played by the Public Works Department in introducing gravitational scheme to provide clean water supply. This article shows that the Public Works Department played a major role in the development and administration of waterworks in Kuala Lumpur, leading to the rapid growth and urbanization of the town. PING, Moo Hooi; FERNANDO, Joseph M.. THE ROLE OF THE PUBLIC WORKS DEPARTMENT IN THE DEVELOPMENT AND ADMINISTRATION OF WATERWORKS IN KUALA LUMPUR, 1900-1941. SEJARAH: Journal of the Department of History, [S.l. ], v. 27, n. 1, aug. 2018. ISSN 1985-0611. 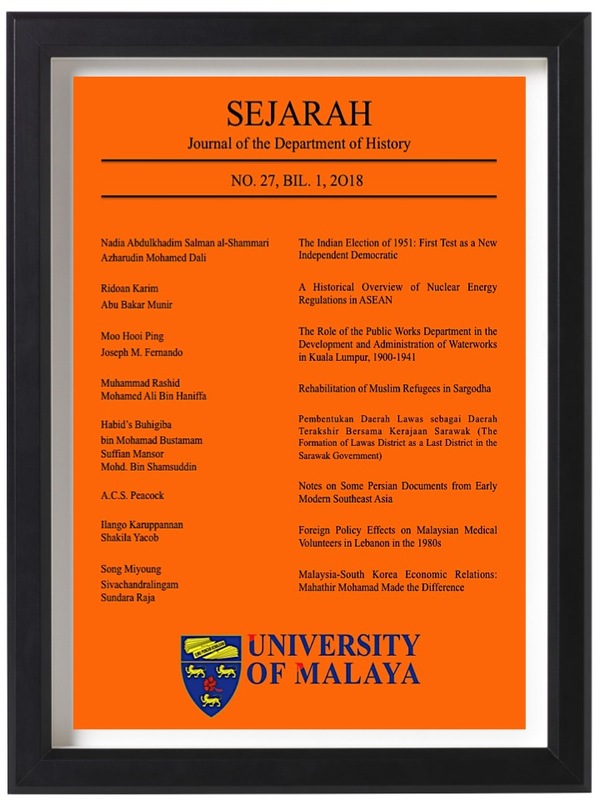 Available at: <https://ejournal.um.edu.my/index.php/SEJARAH/article/view/10823>. Date accessed: 22 apr. 2019.